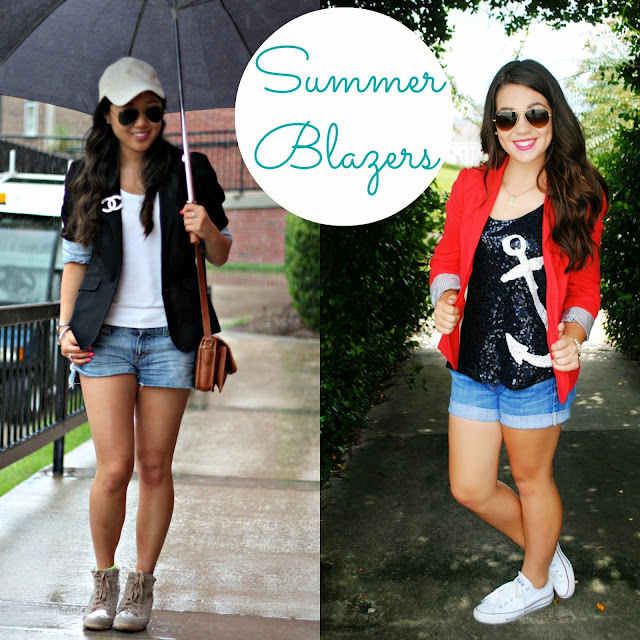 Today Madison from Madison Lane and I have teamed up to show you how we style our summer blazers. 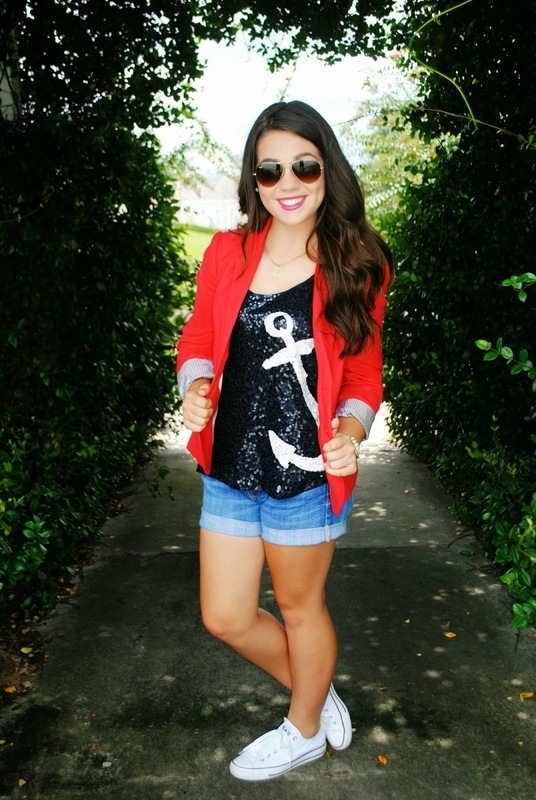 I've always been a sucker for blazers in the fall and winter months. It's such a classic piece to complete a look. 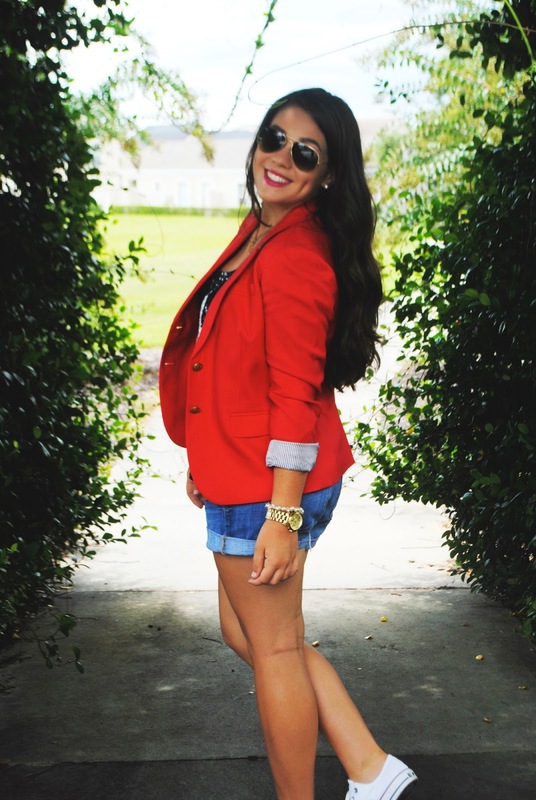 It's fun to mix up a classic blazer with a pair of denim cut-offs and top it off with a pair of sneaker wedges or even a bright polish in the summertime. How do you style your blazers?